Sitting on a quiet strand of beach, "Dreams Come True" is a beautifully decorated, four bedroom oceanfront home located in central Topsail Beach where sun and surf abound! Three bedrooms are located on the first floor connected by a hallway that runs the length of the home. 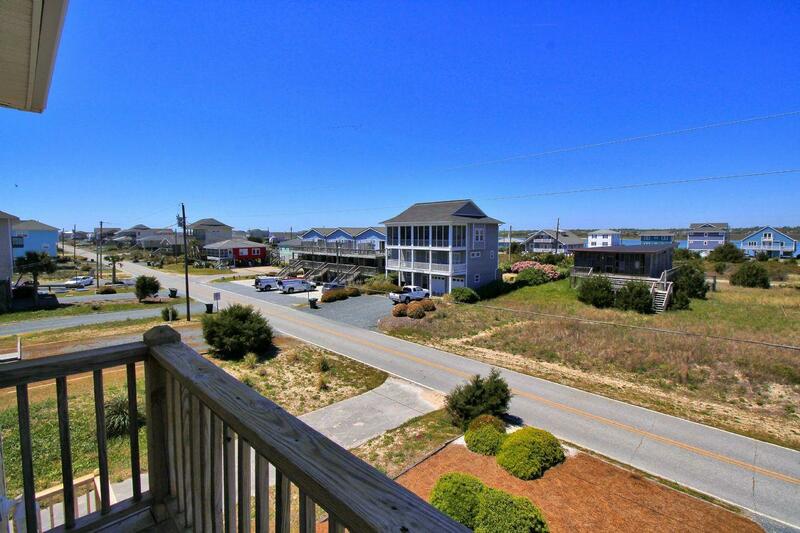 All four bedrooms in this home are on the oceanfront side, providing stunning views from each guest quarter. Starting at the first-floor entrance, there is a shared hallway bath with bedroom one, providing two twin beds and easy access to the deck through the sliding glass door. To your right, continuing down the hallway, lies bedroom two featuring two twin beds and access to the oceanfront deck through sliding glass doors. Across the hallway from the bedrooms is a small closet conveniently containing a washer and dryer. Finally, at the end of the hallway is bedroom three, providing a queen bed. The stairs to the second floor are located adjacent to bedroom one at the beginning of the first-floor hallway. The stairs take you into the main living area with a large, open-concept floor plan, kitchen, dining and living room area. Queen sleeper sofa is located in the living room for additional sleeping space. The large kitchen has an island with additional seating and ample supplies needed for a home cooked meal at the beach. Tall, oceanfront windows allow this home to be bathed in natural light as well as provide beautiful views of the ocean from all areas of the upper level. The dining area is strategically found oceanside providing a large dining room table. Three comfortable sofas allow for plenty of seating in the living room and 43-in smart TV is perfect for movie night. The fourth and final bedroom is located beside the living room and has a queen bed, access to a large shared bathroom and sliding glass doors to the oceanfront deck. "Dreams Come True" is a large home with plenty of space for your entire group. Relax on the secluded beach, and get lost in the waves. Come join us at "Dreams Come True" for a vacation to remember. Does this property have internet access? Yes! This home has wireless internet.